By scoring a quarter of Doubles on the Treble for the evening service on 5th March at Christchurch, Isle of Dogs, Luigi Vicenti has completed Level 3 of ART’s ‘Learning the Ropes’ training scheme. Level 3 takes ringers from call changes, building on kaleidoscope exercises through to ringing the treble and covering to methods. The level is passed when the ringer can do this sufficiently well to score two quarter peals at least one of which must be the treble to Doubles (or on higher numbers). The second can be ringing the tenor behind. Other activities include raising and lowering in peal. Lugi and Guseppina started learning to ring in early 2013, as a result of the ‘Ring for Fitness’ publicity campaign initiated by the Churches Conservation Trust, in conjunction with the Ringing Foundation and Association of Ringing Teachers (ART). 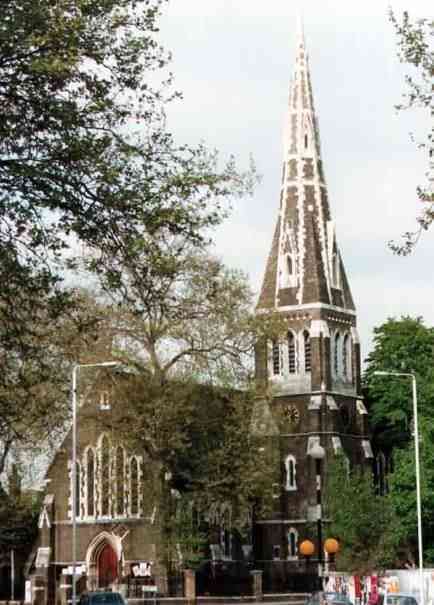 Their closest tower is St Mary Magdalene Woolwich, although the nearest with regular ringing is St Alfege, Greenwich. They have been regular visitors to the Tuesday practices at St James Bermondsey over the past four years. We look forward to helping them complete the remaining two levels of Learning the Ropes, by which time they will be ringing Plain Bob and Grandsire inside to quarter peal standard. We also look forward to helping our other learners and visitors to achieve more passes over the coming months. This entry was posted in News, Peals & Quarters, Training and tagged Bermondsey, Greenwich, Isle of Dogs, Learning the Ropes on 5 March 2017 by Roger.